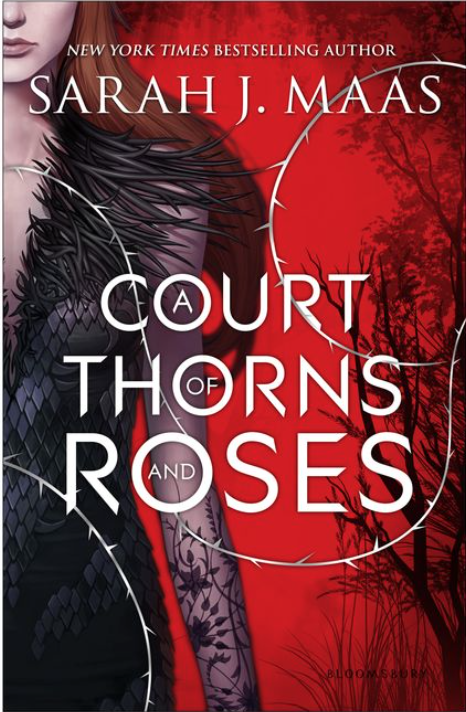 A court of thorns and roses is an amazing young adult fantasy novel that had me wanting to read more each time I turned the page. The story follows nineteen year old Feyre as she is taken from her home in the human realm and swept up in the glamour of Prythian, the Faerie realm, where she falls in love with one of the high faeries, Tamlin. The story never has a dull moment and I loved all of Feyre and Tamlins perfect moments. Sarah J Maas creates her characters so perfectly, each person draws you into the story its self. As you read you grow to develop with each of the characters and grow attached to them as they face different trials throughout the story. Some of the characters you hate at the beginning of the story but grow to love by the end. Like with all of Sarah's other novels, I couldn't put the book down. I had to know what happened next, and although the ending couldn't have been more perfect, I was sad that I finished it so quickly. I hope that there is a second book in the story, and if there is, that it comes soon. I highly recommend this book to anyone who enjoys a story full of action, love, plot twists, perfect characters, and amazing storytelling.